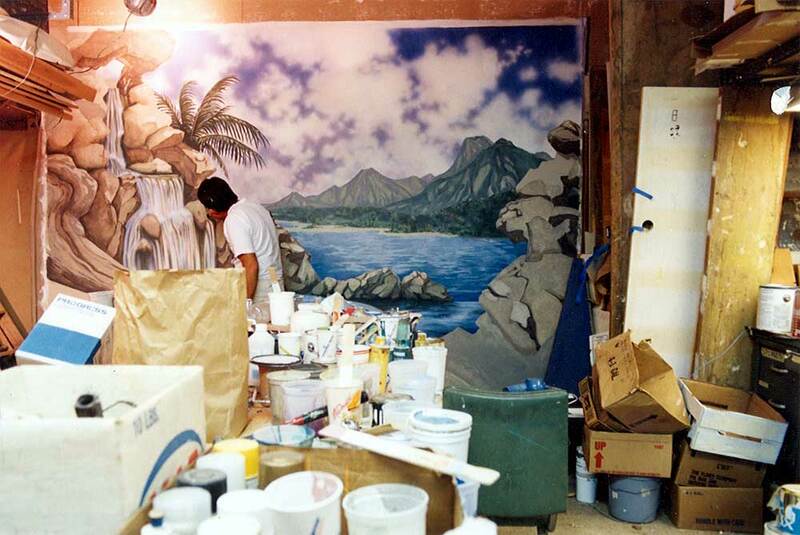 Murals and painted finishes comprise the bulk of the company's projects. 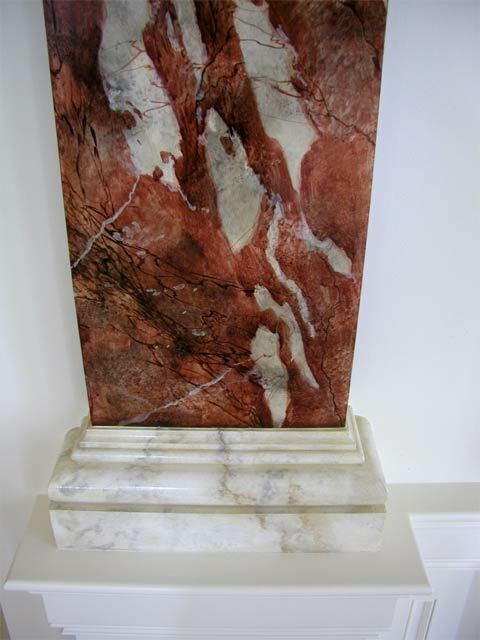 Architectural finishes such as marbling, woodgraining, imitation of stone and natural materials as well as gilding and painted graphics are offered. 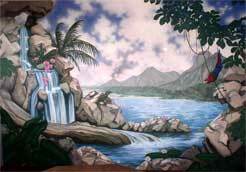 Murals are rendered most often in a trompe l'oeil or realistic manner. Lately we have been called upon to paint primitive early American-style murals in the manner of the itinerant painters of that period. Projects completed include many residential as well as industrial and commercial hotels or offices. Mr. Luck today completes the bulk of the work himself with the help of additional artists who are employed in peak work periods. A limited number of commissions are offered each year and booking well in advance is recommended. Pine Street's principle geographic working areas are Philadelphia and New York, but projects have been completed in almost every major city in the United States. Pine Street Studios' president Hugh Luck received a BA in music from the University of Virginia in 1976, where he also studied art and architectural history, drawing, design, and theatrical painting. Continuing education followed at the then-named Philadelphia College of Art and the Pennsylvania Academy of Fine Art with courses in color development, sign painting, and design. Faux finish training was taken at the Finishing School, formerly of Great Neck, NY, under the original master Ina Brousseau Marx. Hugh completed almost every course offered there in the 1990s. Other seminars included the Day Studio Workshop from San Francisco and The Pierre Finkelstein Institute in New York. 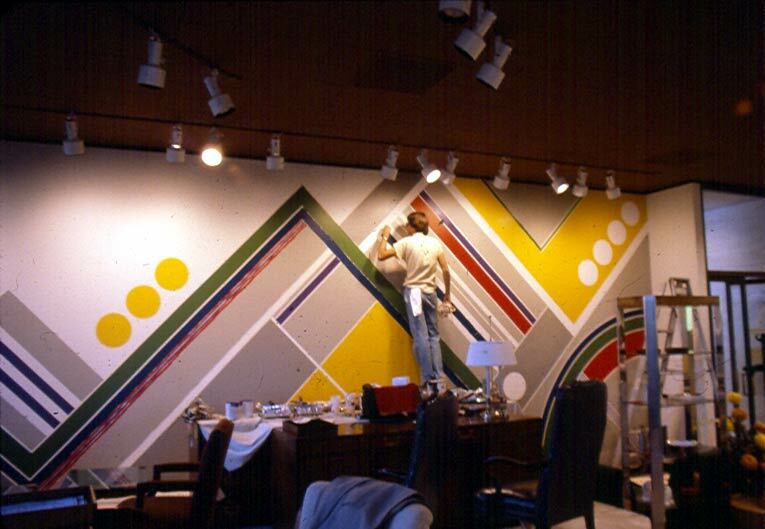 Hugh began working for Peter Freudenberg as an artist assistant in 1977 where the painting of supergraphics was the rule. Peter is a fine arts graduate of Philadelphia College of Art and also studied art and architecture at Clemson University. 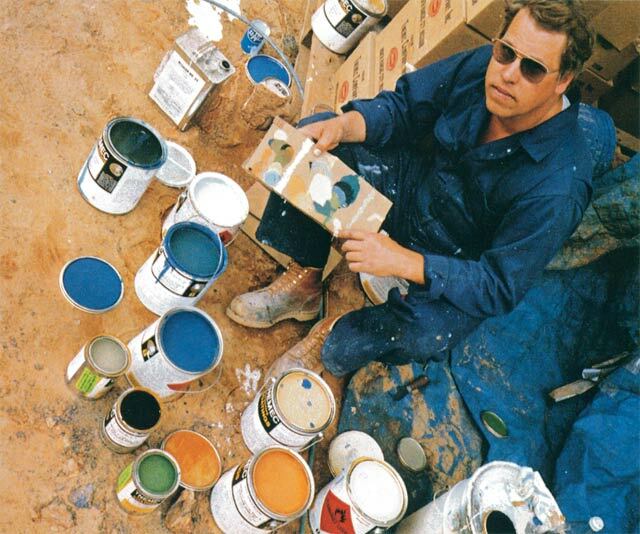 Hugh also gained experience as a house painter at that time as well. 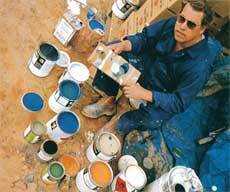 In 1983 he started his own company, Hugh Alan Luck Design, and began work in faux finishes and "earn while you learn" murals. These came about as an extension of faux finishing and to this day Hugh relies heavily on trompe l'oeil applications of finishes to complement representational paintings. 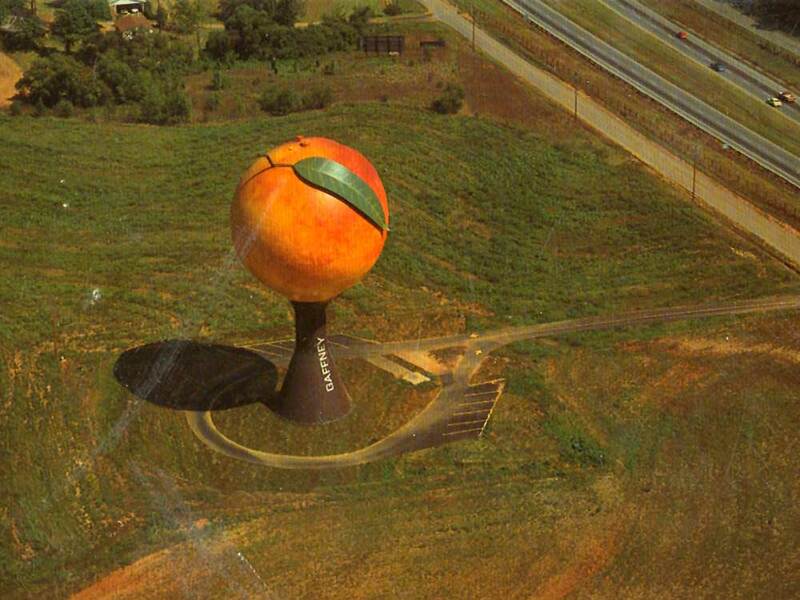 In 1989 Hugh and his former employer joined forces in the present company, Pine Street Studios, Inc. 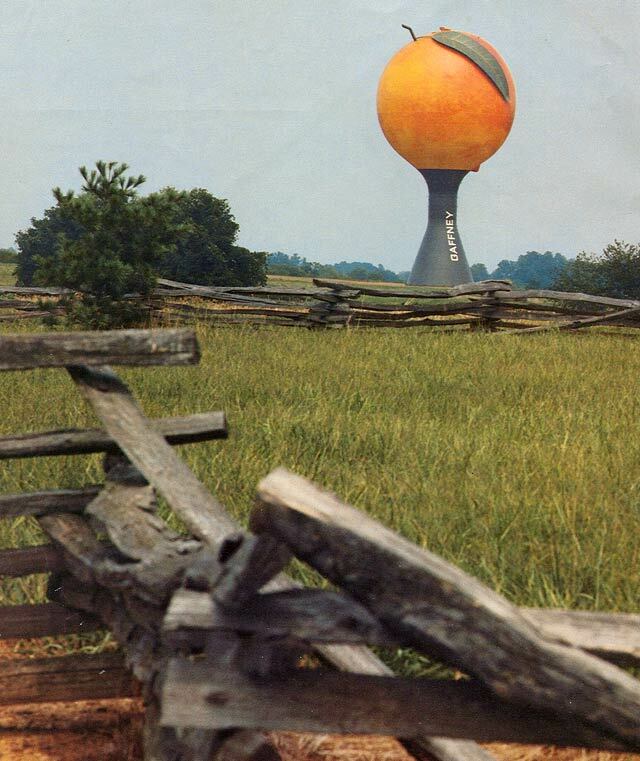 Under Peter's influence, Pine Street undertook supergraphics, murals, and other large, unusual projects (such as the 135' peach water tower in Gaffney, SC, or the decoration of a large general mail facility in Dulles, VA, for the United States Postal Service). Shortly after the forming of the corporation, Glenn Podolak became Hugh's assistant and remained in that position for the next 16 years. Glenn created his own business in 2005. 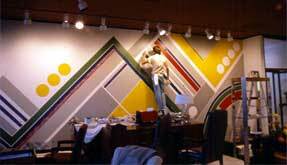 Peter retired in 1996 and under Hugh's guidance the company is now known for top-quality artistic painted finishes and trompe l'oeil murals. Influences in Hugh's work come from a variety of sources. Early on, there were American illustrators such as Maxfield Parrish, Joseph Leyendecker, and N.C. Wyeth. A Philadelphia Museum of Art show featuring "Masters of 17th Century Dutch Landscape Painting" was an inspiration. Faux and mural painters whose books, methodology, and talent he admires and refers to daily include Ina Marx, Graham Rust, Pierre Finklestein, and Yannick Guegan. He has worked with local Philadelphia artists John and Tish Allbright, the late Eric Potts, Joseph Mingari, Lorraine Sporer, and David Flett. Of course, working with Peter Freudenberg has been an undeniable influence. Three interior designers with whom Hugh has worked in particular come to mind for having pushed his abilities to higher levels. They include Linda Goldstein, Robert Denning, Bennett Weinstock, and Mary Ann Kleschick. Pauline Vastardis also gave Hugh the chance to paint his first large-scale room with trompe l'oeil elements. Recently, all things early American primitive or country, including the work of 19th century itinerant painters (notably Rufus Porter) and furnishings of the period, have gained his interest. Hugh will again this year be teaching a couple of seminars at the Rufus Porter Museum in Bridgton, Maine. He looks back to all the jobs he has seen and the work of anonymous painters from the past whose work he has encountered, and endeavours to decipher their skills and, failing that, to simply enjoy viewing their talents. 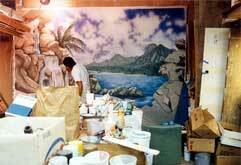 Hugh sees the faux finish/mural industry as having changed greatly over the past 30 years. When he started, faux finish was not a common term. There was no cable, cell phones or HGTV. There were no books or schools in the United States on the subject that he knew of except for The Isabel O'Neil Studio in New York. He knew of only two or three other contractors in the field in his local area. Today, many, many artists have joined the ranks. Books and schools abound. Clients now need to evaluate their own requirements in a faux painter, whether it be for a talented novice who can deliver an acceptable quality finish or mural, or a highly experienced and trained contractor who brings a wealth of knowledge to your project. There are many in between these ranges. It is important to like the "look" and "feel" of their work, whether it be quick and simple, or studied and complex. It is crucial to have a high comfort level with the contractor whose job it is to either fulfill or help focus the client's thoughts into something many will see and the client will live with on a daily basis, perhaps for many years. The fad is ending...the real work and a new era of painting has just begun. It seems today, at the turn of the century, the fashion may be beginning to turn once again for some to a less-cluttered, simpler decorative style, as it had done at the turn of the 19th century. That period had followed a blossoming of a more decorative era as well. I believe faux painting is becoming more specialized, answering the specific needs of clients to solve design problems. Adding convincing woodgrain or marble where the original material cannot be found or is too expensive are age-old trends finding new uses even in a simpler time. Many people never even recognize upon walking into a space that a good faux job has been done. As for walls, my philosophy has always been that, except for murals or in other special cases, the walls are a backdrop to furnishings and artwork, and should not speak too loudly. My own leaning in faux finishing is conservative. I consider myself first a talented craftsman and second a fine artist. I can be very creative when need be — even far out, if pushed — but always detail-oriented throughout. I look forward to another 30 years of painting...regardless of changing fashion. Bennett and Judie Weinstock, Philadelphia, PA, "To Hugh: How 'lucky' we were to meet you"; Robert Denning, of Denning and Fourcade, New York, NY, "What fun it is to work with you, Hugh"; Mary Ann Kleschick, Philadelphia, PA, "It is important to treat the ceilings"; Linda Goldstein, Lambertville, NJ, "Hugh, you aren't for everyone"; Barbara Eberline, Philadelphia, PA; John Rolland, Philadelphia, PA; Creg Richard Design, Philadelphia, PA; Joe Piccardo, Philadelphia, PA; Herb Tapper, Philadelphia, PA; Amy Miller, Radnor, PA; Michael Murtha, Philadelphia, PA; Jeanette Turnbull, Chestnut Hill, Philadelphia, PA; Pauline Vastardis, Moorestown, NJ; Vivian Rowan, Titusville, NJ; Marsha Fisch, Cherry Hill, NJ; Linda Boyce, Springfield, PA.